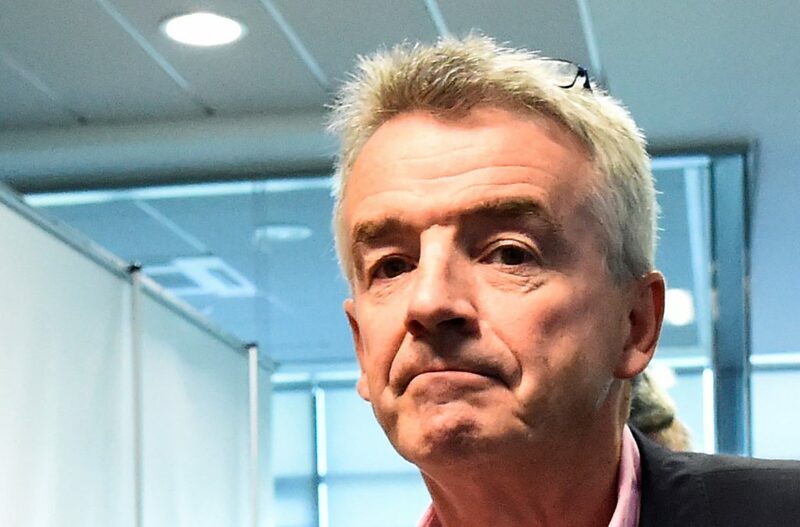 The budget airline will split into four units overseen by CEO Michael O’Leary. The changes, including a replacement for Chairman David Bonderman, look encouraging. But given that O’Leary will remain in charge and large-scale acquisitions are unlikely, they are mostly cosmetic. Ryanair CEO Michael O'Leary arrives at the Ryanair AGM in Dublin, Ireland September 21, 2017. Ryanair on Feb. 4 reported a net loss of 19.6 million euros for the three months to December, compared with a net profit of 106 million euros for the same period a year earlier. The airline blamed weaker fares, which it expects to continue throughout the year. Ryanair on Jan. 18 cut its full-year profit forecast for the second time in three months, warning that fares in the second half of its financial year which ends in March 2019 were set to fall by 7 percent, rather than the 2 percent previously flagged. Ryanair in January said it expects net profit for the year to March to fall by up to 31 percent due to a mix of summer strikes, higher oil prices and short-haul overcapacity in Europe. The company cannot rule out a further downgrade, it said on Feb. 4. The airline also said that it will move to a group structure over the next 12 months by dividing the business into four units. Each of the airline subsidiaries – Ryanair DAC, Laudamotion, Ryanair Sun and Ryanair UK – will be led by their own CEOs and management teams. Michael O’Leary will become Group CEO and has agreed a new 5-year contract, the company added. Chairman David Bonderman will stay in his position until the summer of 2020, and then be replaced by Stan McCarthy, who will become deputy chairman from April 2019. Ryanair shares were down 4.17 percent at 10.95 euros by 0916 GMT on Feb. 4.